Welcome to the BAICE e-forum, again! Today’s discussions are facilitated by Dr. Jan Eldred, Senior Research Fellow, National Institute for Adult and Continuing Education (NIACE). 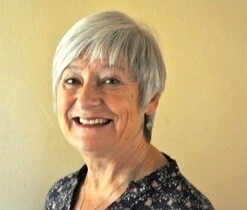 Jan has scores of years of interest in adult literacy in both the UK and in international development. She has been a literacy tutor organiser, FE officer and Head of Faculty for Community Education as well as Assistant Director of NIACE. She is currently looking at the impact of literacy and numeracy learning across the UK as part of the European Agenda for Adult Learning. Jan has chaired the UK Literacy Working Group since its inception in 2006 and worked with the group on publications, events and parliamentary representation, particularly related to women’s literacy development. She volunteers as a team leader with Habitat for Humanity, around the world, being particularly interested in the role of women in legal and financial literacy, related to home ownership. As a practitioner, researcher and developer of adult literacy/literacies, through out my professional life I have spent many hours reflecting on why others don’t ‘get’ what all our Bridging the Gap discussions indicate. This is, that literacy makes a difference to people’s lives in so many diverse ways but quintessentially, by empowering them to be fulfilled human beings, whether in relation to personal development, family, work, community or politics. There is no doubt that literacy development is complex and challenging but so are many other areas of learning. I agree with some contributors who decry the lack of institutions and infrastructures, which support continuing education. I recognise the dominance of schooling and formal education and equating them with the only form of valuable education as well as the lack of vision of learning as a lifelong, life-wide activity for everyone. I agree with those who believe that this reflects power and hegemony. I also agree with those who say that adult literacy learning is often a campaign or an initiative;both of these suggest that adult literacy is a ‘problem’ which can be addressed by throwing money at it for a limited period of time. An acceptance of the concept of and commitment to lifelong learning would support and sustain adult literacy as part of that life – long continuum. Literacy learning would then be seen as important as any other area of learning and development. It seems to me that it is up to us, who firmly believe in the value of learning throughout life, for all adults, to pick up the cause and be judged by our actions. As Anna indicates, there is a lot of research out there, so it’s not necessarily a lack of research, which stops adult literacy development. Participants in this forum agree that the gap is between research and practice. Much research stays within the research community. Yes, it is disseminated, but often, not applied and used. Practitioners are busy doing and don’t have time – or often access – to the documents, which might inform their development. This gap would be unthinkable in medicine, where huge amounts of investment in research lead to changes in practice. (Again, this reflects power;the rich get sick, so influential people find funds;few of them need to develop their literacies.) I suggest we should have research AND development much more closely linked. Practitioner research, where academics work alongside and in partnership with practitioners, has been demonstrated to be effective. Changes happen in practice as well as in academic thinking, as a result of such partnerships. What if research proposals had to involve development partners? What if research proposals included post-research development phases with practitioners, as medicine includes clinical trials? What if such development phases had to produce materials, tools, guides and development for practitioners? What if evaluation studies encouraged and supported reflective practice in the field, in an on-going way, not just evaluation of an initiative or project? Would such approaches help researchers and practitioners to work more closely together, to bridge the gap and improve what we are all trying to do? Would such practices help us to demonstrate to those who don’t ‘get it’ the impact of lifelong learning and literacy learning in particular? Thank you for initiating discussion on the partnership issues. Yes, this was the idea I wanted to communicate yesterday. “Research proposals should involve development partners”. Research has to be planned, conducted, disseminated and evaluated in collaboration. To this end, paradigm shift is sought in our thinking of the purpose and the methods of research. Academicians often go the practitioners to look for what is not there; not to improve their practice rather to identify gaps and to criticize. Academicians should be ready to learn from the field practice and should contribute to the improvement of the practice. This is, I think, what Dr. Jan Eldred has called ‘Reflective practice in the field’. I agree with Dr Jan’s insight and it is a good idea to involve development partners in research proposals and strengthen partnerships among practitioners, research institutions and development agencies. I also trust that such collaborative work can support to link research and development. If different development partners engage in research proposal from its inception through to its development and launching, there will be possibilities to have follow-up development projects or as Dr Jan said, post-research development phases. This can also respond to one of the frequently raised questions that I experienced as a development worker in NGOs and UN agency: “What is next after the research is successfully completed”. In practice, it can be many successful post-research development literacy projects here and there. To reflect on such issue, the IFAD/UNESCO literacy research project that Prof Anna highlighted in her discussion can show the partnerships of academic research institute/University (UEA), development partners (IFAD & UNESCO) and national and local practitioners in conducting collaborative research on literacy and the ongoing initiative to use the research outcomes on post-research development project in Ethiopia. Thank you for your responses! Perhaps we should begin to gather examples of where research and development partnerships have been created and examine the outcomes and impact of their collaboration. Does anyone have any examples of how such approaches have been effective and what the impact has been? Starting from the first day of e-forum discussion on “bridging the gap”, I have been learning a lot and I have begun adjusting my lens through which I look at literacy program. Dr.Rafat, Ms.Thea, Dr. Sushan and Prof.Anna have outstandingly managed the momentum of the discussions.I say thank you. Today, Dr. Jan has raised so critical questions that can intensify the discussion. Dr.Jan said, “…it is up to us…” yes, it is. I strongly agree that we need to be the captain of the ship and the master of the program’s fate. That is my affirmation. if we don’t see it, if we don’t believe it, no one else will. Therefore, to all of questions raised by Dr.Jan, my answer is yes. To me, such approaches definitely help researchers and practitioners collaboration. Most of the time, one of the challenging factors are ownership (sense belonging). Practitioners, researchers and policy makers have sometimes polarized conceptions on the effective implementation of the program. If there is a culture of collaboration from conception to post-research development phase as Dr.Jan said , the gap will be effectively bridged. My question is, however, what is the binding force that makes researchers, policymakers and practitioners work together sustainably? How we can make this report available to other project planners? How these types of research reports can be accessible by the academics, other researchers and professionals in adult learning? Thank you Jan for initiating the discussion today. We all agree that this type of collaboration is mutually beneficial to academic researchers and practitioners where the former gains access to communities and to the wealth of data while the latter benefits from the rigour of academic research. I strongly support the statement of our colleagues that collaboration should take place from the onset (from inception to consumption) making our development partners co-producers of research. The issue raised by Ehsan is crucial- we have to consider the consumers/end-users of our research (funders? the government? academic institutions? our partners in development? the community?). How do stakeholders do and use research? How can we make our work accessible to people given the poor internet connection, expensive databases and journal subscriptions and the technical nature of how research findings have been reported? Another thing puzzles me- in terms of making recommendations for research grants and evaluating outputs of collaborations, who comprises the “panel of experts” commissioned by the government and research councils? Would it be possible to reserve a seat for our development partners? I think the presence of practitioners in the assessment panel would make a huge difference. Thank you Jan for this exciting discussion! It is indeed important that there is collaboration among practitioners, academicians, research institutions, development agencies and those who are to benefit by the program to be implemented. We also have to know that some of the beneficiaries to be in these programs live in environments that do not favor them to benefit by the programs. These obstacles could be within one’s family or community. For instance, in some communities girls and women would like to join literacy programs that would make their lives better, but the time to join these programs is not their because of their roles in communities. Probably, this is where the policy makers and policy implementers would think of having certain programs being carried out at a time when people have free time. This means that as we think of this partnership, we should also think of the environment in which these partners are operating that may become an obstacle to the development process. Further, it would be better if all the partners were trained in the way this partnership would operate and how all this would lead to the development of all people engaged in the partnership. I think that it is also important to make sure that people in these programs have the same way of looking at the concept of development (human rights-based, human capital and human development). This could also mean that in case people have little time to join these programs, shorter programs could be designed for them so that they can benefit with the time they have at their disposal. Thank you Denis! I whole-heartedly agree that we should involve beneficiaries, as well as some key ‘influencers’ in communities, but I think that the majority of respected and effective development partners would do this. However, it does no harm to remind everyone that we cannot do things to people but must do things with and alongside them. I know that some practitioner research partnerships train all those involved in what they plan to do, with whom and why. Gina identifies some important challenges about access and accessibility to research reports and documentation. Perhaps some of these barriers could be lowered if developmental partnerships were more common features of research activities as the results and reports would be available to all involved. We should draw on any existing partnerships and explore what frameworks they have in place to ensure that all the ‘players’ are involved; we can then add elements we perceive as missing. No point in re-inventing wheels! Are there examples of partnerships we could explore and analyse?